2018 was a momentous year for us at START – perhaps not so visible for an outsider, but behind the scenes there was a lot happening. Our small team of highly qualified, skilled and compassionate Speech Language Therapists are the lifeblood of START. In 2018 Voon, Anna and Janelle answered many phone calls and email enquiries from concerned parents and worked directly with 177 people who stutter through individual and group therapy. With 2018 now behind us, and the excitement of 2019 ramping up for our organisation, we thought we’d take the time to look back on the achievements of the previous year. Something our clients couldn’t have missed was the fact that at the beginning of last year we moved premises. 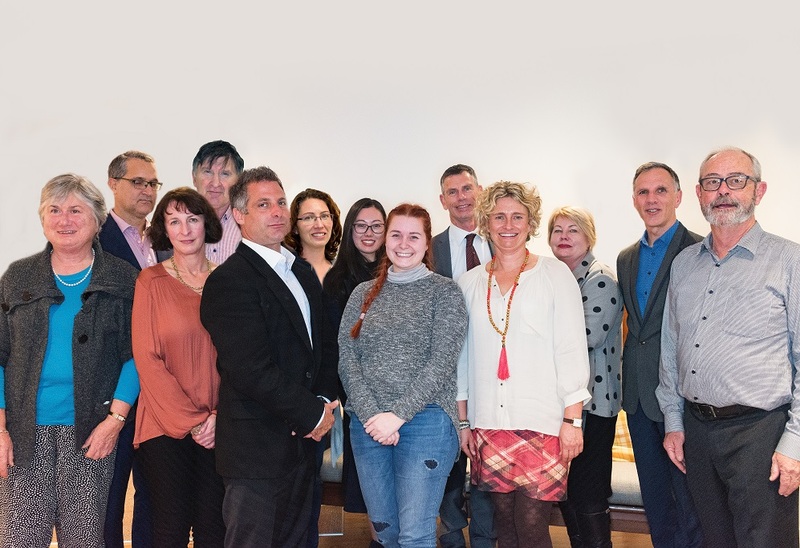 We had made our home in Parnell for close to 20 years, but with The Stichbury Bidwill Centre opening in Greenlane, we saw a fantastic opportunity to be part of a communication hub with related health professionals. We are really enjoying our new office and it’s great working alongside the teams at The Hearing House, The Hearing Research Foundation and Soundskills. If you haven’t had the chance to come and see the premises, we encourage you to come in and and say hi. 2018 also saw our Board newly invigorated with old and new members coming together to share their expertise and passion for START. This change meant that 2018 was a year where our goals and mindset shifted, and we worked collaboratively with our Board to create policies, procedures, and opportunities for our organisation. Thank you to all past and present Board members for your invaluable contribution to START – we couldn’t do it without you. Professional Development is something we hold in high regard here at START, which is why we’re so fortunate that our SLTs are dedicated to growing their expertise as well as sharing it. During 2018, Anna, Janelle and Voon attended national and international conferences to improve their clinical skills and to spread the word about the work we do. Voon attended a Stuttering Foundation workshop in Philadelphia in July to continue to develop his passion of learning about treatment approaches from his US colleagues. He came back with different ways of working with school-aged and adolescents who stutter. Anna attended the Lidcombe Program Trainer’s Consortium Symposium in June, and both Janelle and Anna presented papers at the New Zealand Speech-language Therapists Association Professional Development event in Dunedin in September. Janelle’s presentation focused on START’s Mentoring Programme for adults who stutter and the way the programme has evolved into supporting individuals who stutter via telehealth. Anna presented a paper (via Skype) that looked at the delivery of stuttering treatment for preschoolers via Skype. In 2017 we put together ‘My Stutter’ – an important little book of art, poetry and essays by New Zealand children and young people who stutter, packed full of useful insights, facts, and learning opportunities. We knew it was too good a resource to keep to ourselves, so with the generous help of Pub Charity Ltd we were able to send a copy to every GP in Auckland, as well as every primary and intermediate school in the region too. The response we have had has been wonderful, with many SENCOs and teachers using the book as a resource to help kids develop empathy, as well as an increased understanding of stuttering. We encourage you to ask your GP or school if they have received a copy. If you would like to purchase your own copy, you can do so here. We shared even more information and insights with the New Zealand public! Creating a community that understands stuttering and is open-minded is extremely important to us, which is why when the opportunity came up in July to feature in, not one but two segments on The Project in 2018 we had to say yes. We’re always grateful for the chance to spread positivity around stuttering, and we are especially grateful for the thoughtful and respectful way The Project handled the topic. We also created a video of our own to share insights into what it is like to be a person who stutters. The theme for 2018’s International Stuttering Awareness Day (celebrated on 22nd October each year) was ‘Speak your Mind’, and with that theme in mind we decided to create a video featuring people who stutter and their supporters sharing what they “wish people knew about stuttering”. You can view The Project and ISAD videos here. Previous Previous post: Is stuttering genetic? Next Next post: Why don’t I stutter when I speak with an accent?